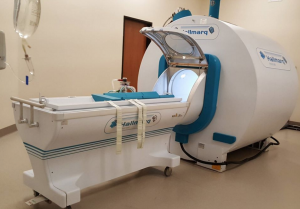 Our new MRI machine is the first of its kind in the United States made just for veterinary medicine and it’s ours!! This MRI is the best of the best, you can’t ask for better equipment to help diagnose patients. This is such a privilege and honor to have in our hospital. We are so excited to be able to share this technology with our patients and veterinary community. Can you tell we are just a little excited about this?? ?